Why iPhone videos can’t be imported smoothly by Windows Movie Maker? How to handle those iPhone footage properly? After reserach, we can know that Windows Movie Maker best compatible video format is WMV, while the iPhone (including iPhone 7, iPhone 7 Plus, iPhone 6, iPhone 6 Plus, iPhone 5S, iPhone 5, iPhone 5C, iPhone 4S, etc.) records in MPEG-4 and outputs its video files as .MOV (the container). iPhone 4K video files are compressed in H.264 codec. From Windows Movie Maker supported file formats, we can find that MOV is among its supported video type list, but H.264 or H.265 codec can’t be supported by Window Movie Maker. That’s why iPhone videos can’t be recognized by Windows Movie Maker. So, how to get around this and how to edit iPhone footage in Windows Movie Maker? Actually, it is not as difficult as you imagine. The only thing you need to do is using a professional video converter like Pavtube Video Converter Ultimate to convert the iPhone videos to Windows Movie Maker compatible format like WMV before importing to Windows Movie Maker for editing. Pavtube Video Converter Ultimate is an optimal video converter for iPhone camera recordings. It has the powerful video conversion ability to create high quality WMV file for your Windows Movie Maker, no matter what’s the format of your source video files, including H.264 and H.265 4K video. Plus, it can be a good video editor and comes with all regular video editing tools like Trim, Crop, Effect, Subtitle, and Watermark. In other words, you can even replace your Windows Movie Maker with it. What’s more, with this video converter, users can import and edit iPhone videos on any other NLE software, such as Final Cut Pro, Adobe Premiere, Avid Media Composer, Sony Vegas Pro, Pinnacle Studio, etc. Now download the software and learn how to convert and import iPhone footage to Windows Movie Maker. After install and run the best iPhone Video Converter, click "File" >”Add Video/Audio” to load the iPhone video files. And you also can drag the files to this program directly. 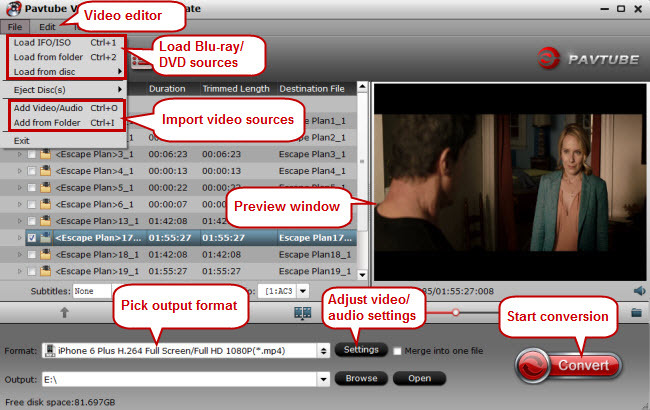 Click the pull down menu of “Format”, then you will be able to select a Windows Movie Maker supported format from the output format profile, for outputting a high quality WMV format to edit with Windows Movie Maker, just output “WMV HD(*.wmv)” under “HD Video” main category. Click "Edit” close to “File” to enable iPhone video editing function. In the “Video Editor” window, try trimming your iPhone video, cut off unwanted areas, attach watermarks, adding special effects to movie, etc. If you want to make some changes to the iPhone video settings like resolution, bit rate and other parameters, click the "Settings" button behind "Foemat" bar. After all the settings is ready, hit right-bottom “Convert” button to start to convert iPhone videos to Windows Movie Maker editable file formats. When the conversion is completed, hit the “Open Output Folder” on the main interface to pop out the folder with the converted files. 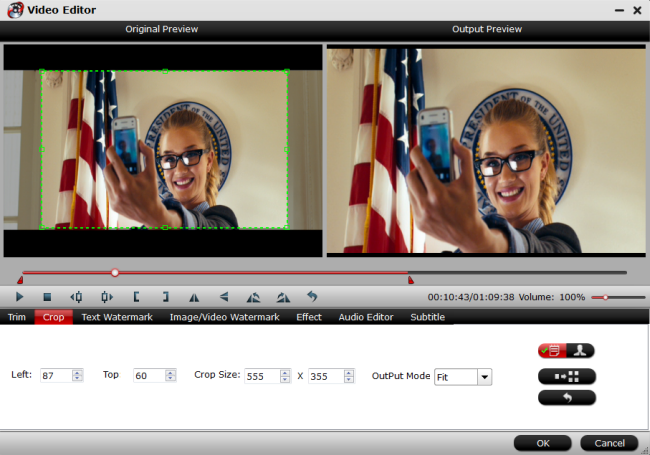 Then feel free to import converted iPhone videos into Windows Movie Maker for editing with no problem. In order to add additional videos to Windows Movie Maker that are on your hard drive, just click or tap the “Add videos and photos” button in the Home tab on the ribbon of Windows Movie Maker. From there, you can browse to the media files you’d like to add.